In an IT award ceremony at Marriott Hotel Islamabad held by Pakistan Software Export Board (PSEB), Inbox Business Technologies has been awarded as the largest technology company in Pakistan. Inbox CEO, Mir Nasir received the award for the largest technology company. 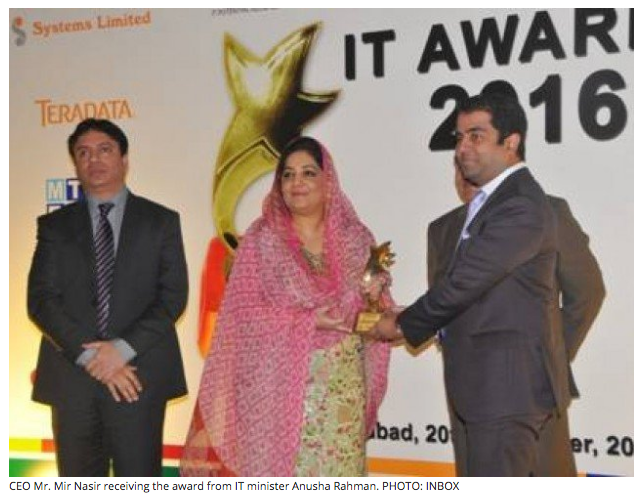 The award was given for the category largest technology company in domestic business from IT minister Anusha Rahman. Inbox Business Technologies is a solution provider company offering digital services to businesses in Pakistan. The awards ceremony was attended by Pakistan’s top executives from the IT, Telecom sector, Government officials. Next article What is the (IOT)?